Video games can be far more than just a time passer. We would argue that games can be truly meaningful to people. Reasons for this can stretch from the visuals of games to the connections players form to characters to the stories those games illustrate. Games can also be significant to people because the choices that players make can feel like choices that have weight, which makes people more emotionally connected to games. How can the aesthetics of video games impact the player? I, Soren Ryan-Jensen, am a Denali freshman, and one game that really stands out to me is “Subnautica.” This game looks amazing, and I constantly found myself looking up at all the creatures above me. I feel that I will always remember this game, and, for me, this is what makes it meaningful. Another example is “ABZÜ,” which is really more of an interactive movie. This game has remarkable visuals that surround you with marine life as you explore the calm beauty of the ocean. Can games can be meaningful because they allow people to connect across the world? I, Mark Haiko, am a Denali freshman, and I find games allow me to connect with friends that are far away. I play games because it’s entertaining, and I can play with my friend, Charles Derrick William Bailey the IVth, who lives in Tennessee. The games are meaningful because they allow me to play with my friends that are in a different state. For Dexter Hines, another Denali freshman, games allow him to play with his dad and friends. The game is meaningful because it allows him to connect with his friends and his dad. Are some games meaningful because of the stories they tell or the choices you can make? What happens in the game becomes more meaningful because people feel connected to the characters. For example, in “Mass Effect” when a secondary character dies it doesn’t feel like some random character died, and when the character achieves something it makes the player feel like it is their achievement. Many people find games memorable because of the stories that these games tell. These stories can be memorable for the same reasons as to why a book’s stories can be memorable. In some cases, the writing can actually be more memorable due to the writers incorporating aspects that are unique for the medium. Because the main character is the player, the choices made and the actions done feel more like your actions. This is unlike other forms of media where we are rooting for the main characters but that’s just it – we are on the sidelines. With games, the character on screen becomes an extension of ourselves; it’s you who is set back by the challenges, stung by the losses and exhilarated by the triumphs of the character you play. Can games can also teach people about themselves? I, Mark Haiko, believe that the following aspects make a game meaningful for me: story, lore, lesson, and morals. 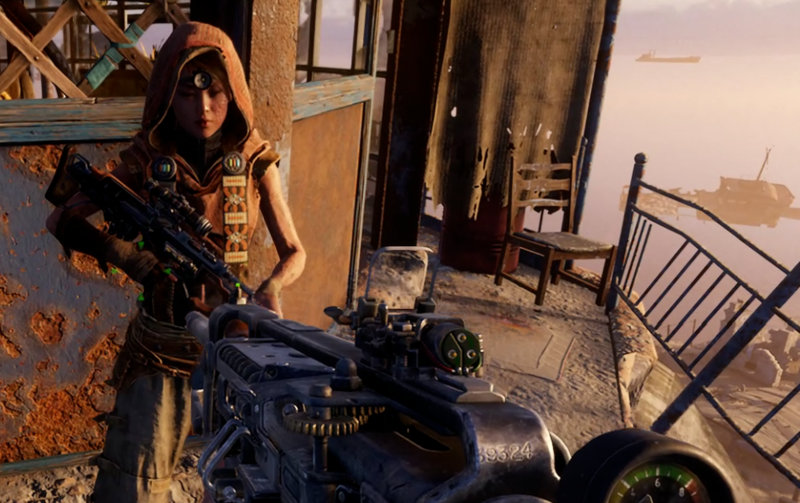 If a game lets you do anything, I lean towards the nicer playthrough, trying to save everyone; for example, in “Metro: Exodus” I made sure to only engage in fights when I was forced and not to get into fights with nice local people. A few games that left a lasting impression on me are the Metro Games and the first six “Call of Duty” games. The Metro games let you save everyone you see and make sure that everyone innocent could survive and live a full life. You can take steps to save everyone’s life (except the antagonists). In contrast, the more grounded “Call of Duty” games had themes of the effects of war and showcased cases of death and war crimes. I believe games bring people together and do things other forms of media can’t really do. They can connect people even if they are a thousand miles apart. Meaning in a video game, for me, is accomplishing its goal in the best possible way. So why are games meaningful to people? People find video games meaningful for a variety of reasons. These include the plot, the aesthetics, the social interactions that can happen and the opportunity to learn something. Games are a medium for people to share ideas, experiences and friends, not just simple entertainment like most assume.